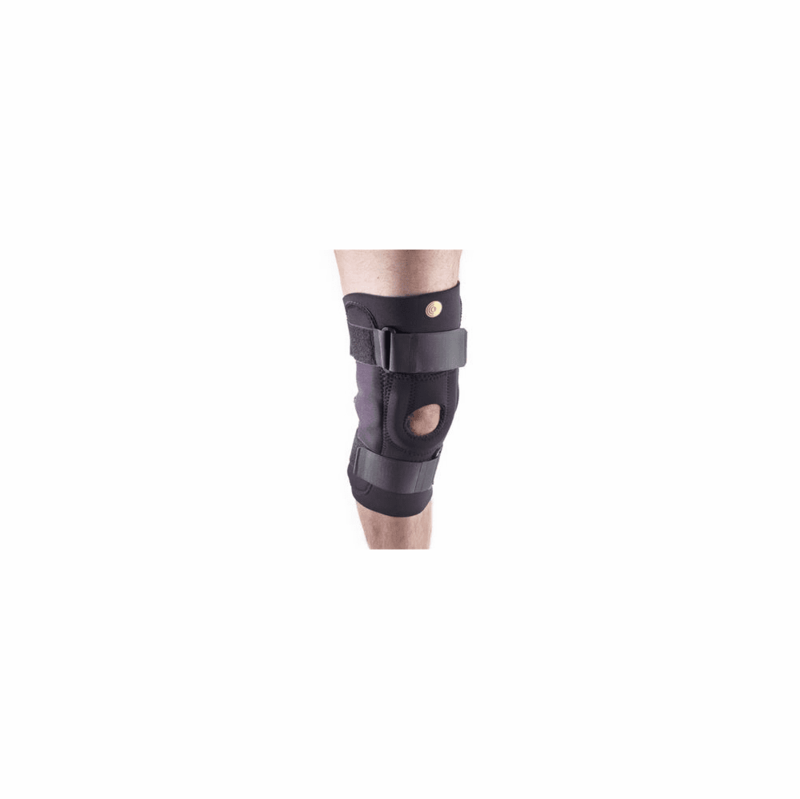 descriptionFeatures sewn-in U-shaped solid tubular buttress for patella stabilization with heavy-duty hinges for optimal medial/lateral support. Indicated for medial/lateral instability, muscle/ligament weakness or injury, treatment of patella baja and degenerative joint disease where patella stabilization is also required. Manufactured from premium grade latex-free neoprene.